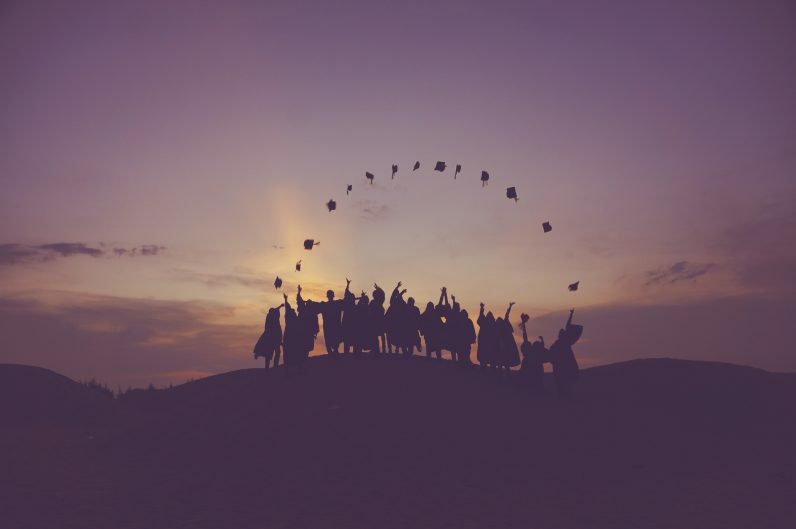 This is a guest post by Jesse Berg, MSIT, M.Ed. Jesse is the author of Visual Leap: A Step-by-Step Guide to Visual Learning for Students and Teachers and a former teacher, instructional technologist, and educational speaker. Connect with Jesse on Twitter via @visualleap. Mind mapping is often considered a visual learning strategy for brainstorming or visualizing ideas, but it is actually far more than that. The value of mind mapping goes beyond simple webbing done in elementary school. It is a universal thinking strategy; a way to organize ideas and learn just about anything. As I explain in my book, Visual Leap: A Step-by-Step Guide to Visual Learning for Teachers and Students, the reason mind mapping works so well is because it matches how people naturally think – which is not how most people are taught. 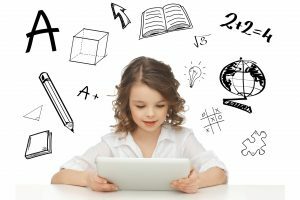 In this article, I offer a breakdown of the cognitive learning theories behind how the visual learning technique, mind mapping, can assist learners. I also provide 8 template mind maps, which you can take straight to the classroom. Why is Visual Learning So Useful for Learners? For teachers and students, mind mapping offers a fundamentally different way to work with information. For most of our lives, we are asked to learn information that is presented in a linear form. Lectures, videos and textbooks all present information in orderly linear ways – with a beginning, middle and end. This is excellent for delivering information, but synthesizing and integrating new information – the key to deep learning – requires very different cognitive processes. This is where visual learning and mind mapping come in. Mapping allows students to capture ideas and integrate content in no fixed or prescribed order, and in ways that use multiple senses. When mapping an idea, a person can skip around from topic to topic, but rather than leading to confusion, mind mapping provides an effective way to capture thinking as it happens. Using our visual, spatial and kinesthetic senses, mind mapping allows people to build a visual model of a concept and organize that information logically. 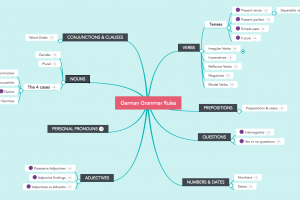 Mind mapping lets learners interact with ideas like puzzle pieces. This allows them to see ideas develop and reflect on their thinking as ideas take shape. Interacting with ideas by moving them around visually and spatially gives learners an authentic and self-directed method to work with information and construct new knowledge. The definition of metacognition is a reflection on one’s own thinking, and mind mapping creates an environment where this naturally occurs. Mind mapping is a uniquely elegant learning strategy because it seamlessly integrates linear, convergent (left-brain) thinking with divergent, non-linear (right-brain) thinking. This visual learning strategy effectively engages the whole mind in processing and analyzing new information. By engaging the whole mind in learning, mind mapping makes learning easier. Whether individuals consider themselves to be visually oriented learners or not, mind mapping provides the ideal framework to develop ideas. It can be used for note taking, writing, reading comprehension, presenting, comparing, review, analysis and much more. Teachers who explore mind mapping as an instructional strategy will be surprised by the countless ways to integrate this universal visual learning strategy. Cognitive learning theories justify mind mapping in education, but your students’ response to the method is the most important proof you will need. Don’t take my word for it. Test mind mapping for yourself. Experiment with non-linear thinking in your classroom. Provide students with a new framework in which they can see their ideas develop. There are myriad ways to integrate mind mapping into teaching and learning. To start, try using mind mapping as a way to assess the prior knowledge of your class. Have students map out what they already know about the topic you are about to teach. For young students, try mapping a simple topic like “pets.” For older students beginning a unit on World War II, for example, use that topic as a main idea to develop. As students build visual maps, they will see how their initial ideas fit into a larger picture of the lesson or unit. As the unit covers more content, continue to build on your maps to reflect acquisition of new knowledge. Teachers and learners alike will gain a deeper understanding of the content by seeing how information fits together as a whole. Plus, using mind maps this way is one of the best ways to clearly show the growth and learning that transpired from the beginning of a unit to the end. Mind maps are beneficial in any subject. They can demonstrate what teachers aim to achieve in a lesson or term, they can be integrated into classes as teacher-led activities and students can create their own. Your browser is not able to display frames. Please visit Character Analysis Web (i.e. Calamity Jane) on MindMeister. Your browser is not able to display frames. Please visit Summary Web on MindMeister. Your browser is not able to display frames. 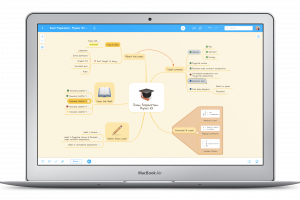 Please visit Persuasive Essay on MindMeister. Your browser is not able to display frames. 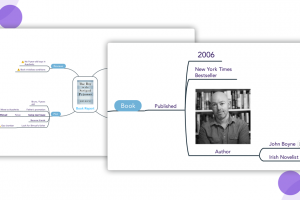 Please visit Article Comparison on MindMeister. Your browser is not able to display frames. Please visit Event Analysis on MindMeister. Your browser is not able to display frames. Please visit Lab Report on MindMeister. Your browser is not able to display frames. Please visit Classification on MindMeister. Your browser is not able to display frames. Please visit Textbook Chapter on MindMeister. Mind mapping offers students a bold new way to think critically, analyze information, and see their ideas develop. It allows students to use their creativity to think in a way that matches how they naturally process information. Mind mapping gave him a powerful learning strategy and newfound academic confidence. It unlocked his mind. This student’s experience demonstrates how mind mapping can transform the lives of students by providing them with a new way to learn. If this big, easy method impacts your students as it has impacted me and mine, then teaching this skill will be among the greatest services you can deliver as a teacher. It will prepare your students to be independent thinkers, problem solvers and lifetime learners capable of solving the surprises of an uncertain future. 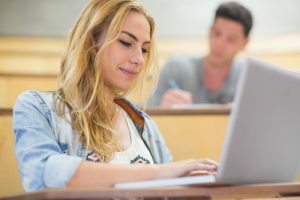 If you teach your students how to learn with this visual learning technique, you will provide them with a tool for lifetime success.